Many of you will have enjoyed the excellent wines from tiny boutique producer, Folding Hill. 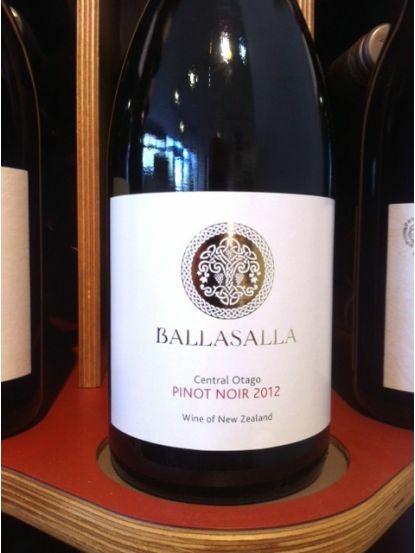 Based in Central Otago, Tim Kerruish makes delicious Pinots and the Ballasalla is his latest creation. This is a lighter, slightly more juicy Pinot Noir than the Folding Hill and the Orchard Block, made for earlier drinking. That's not to say it's any less impressive than the other offerings though. There's plenty of fresh juicy berry and cherry fruit, subtle spice, little savoury hints and lovely acidity. It's fresh, balanced and delicious, made with real care and attention, as with all Tim's wines. A very welcome addition to our list.